Parkwood Towers was a sort of photo essay exposing the individual living areas of a certain apartment building in Calgary, Alberta, Canada. I knocked on each door in the apartment building, and asked the resident if I could take a photo of the their living room. The images are accompanied with original stories, all based in some version of the truth. The cover. Inspired by the wood-panelling wall present in most suites, the cover is a reflection of the grid. The texture of the cover is that of the walls. The concept came from the fact that everyone in the building lives in the midst of a great wood-panelling wall. The thought was to capture a glimpse of each wall - how people lived around it, and how they each chose to dress it up. 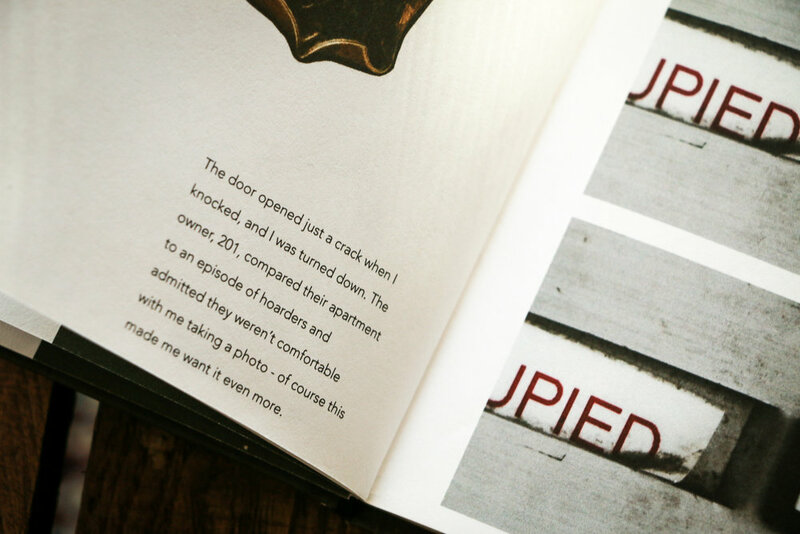 The wall became the grid for the book. An example of an inner page - each spread represented a different unit in the building. 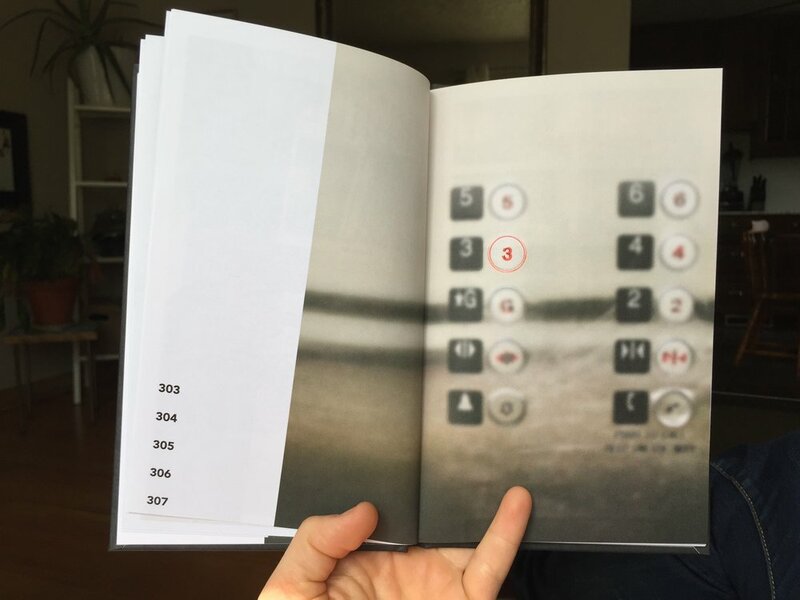 The book was organized by floor; each new floor is introduced with an elevator page. Unit 201 wouldn't let me in.